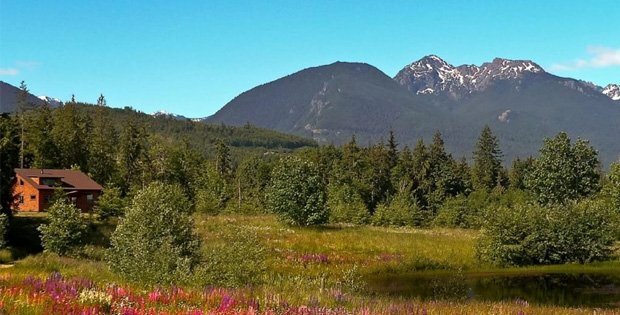 Located in Port Angeles, Washington (just across the water from Canada), the Olympic Peninsula offers a variety of activities, such as mountain climbing, winter sports, kayaking, biking, fishing, surfing, animal watching and tours. 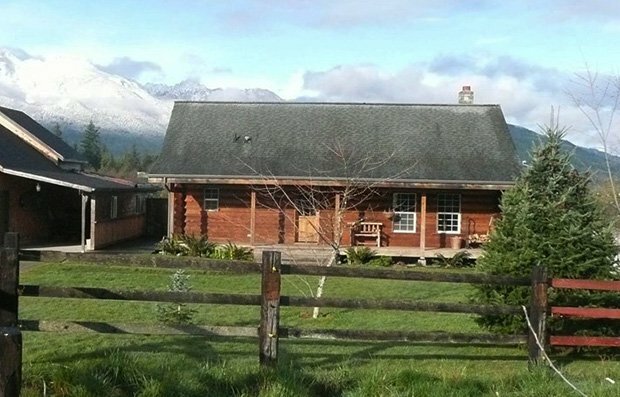 The area not only has a commanding view of the Olympic Mountains but is also nearby beaches, waterfalls, rivers, and mountains. 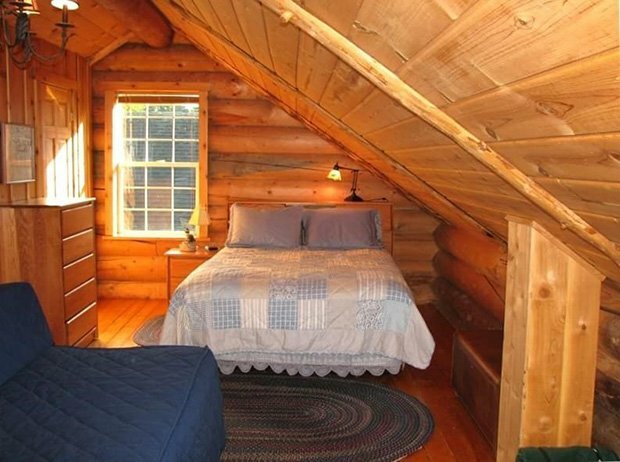 And here is where you’ll find several cabins resting peacefully that we’re going to show you today: the Log Cabin, Compass Rose House, and Pond Cottage. 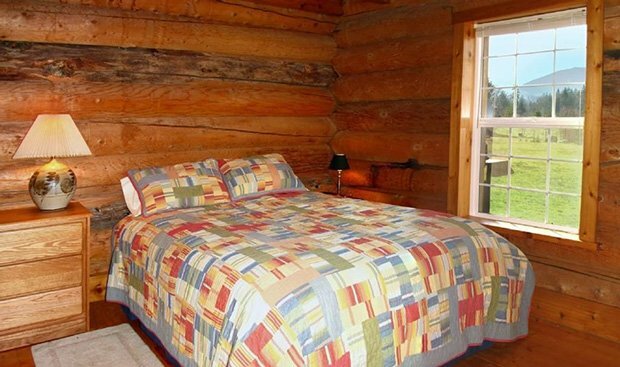 These are rustic view cabins with modern facilities, and rental rates range from about $100-150 per night. Take a look at these photos and tell us what you think on our Facebook Page! 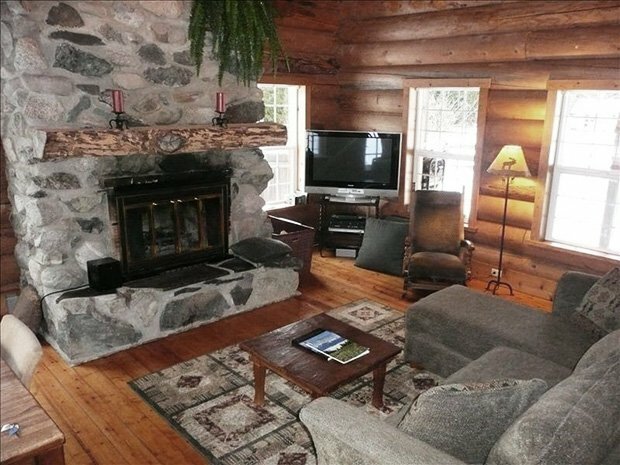 Inside this charming log cabin you will find a gorgeous rock fireplace where you can curl up with a good book on the cozy couch-lounge. 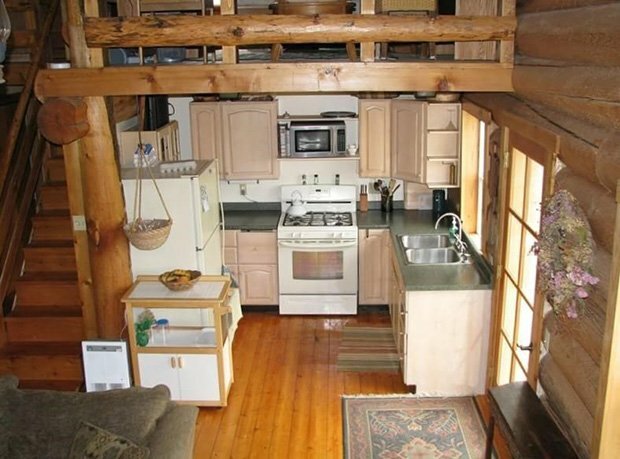 The kitchen has a full gas stove and oven, microwave-convection oven, and all the amenities for good cooking and eating, including staples and spices. ….TO SEE COMPASS ROSE HOUSE, CONTINUE TO PAGE 2….